There is nothing quite like feeling a balmy blast of air on your bare skin as you grind it nice and slow for a few hundred very appreciative and rowdy fans, which can only be achieved properly in the city of New Orleans, as no other city can deliver the heat like Nola can. I am sure for each artist in their respective fields there is some magic that happens when they find themselves creative in New Orleans. This explains the large population of artists, musicians, performers, culinary wizards, beatniks and freaks that inhabit and visit the area. 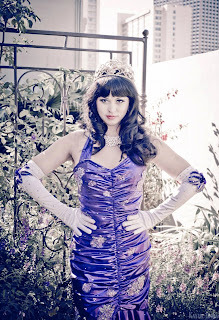 I am proud to be among those who enliven the city and from time to time I like to think of myself as a public servant, especially since being crowned the 2011 Queen of Burlesque at last year's festival. Naturally New Orleans has a rich burlesque history. 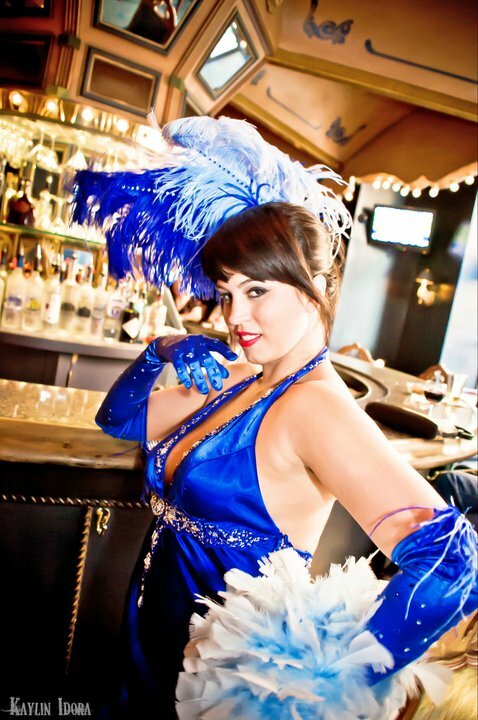 Burlesque stars like Jada, Tee Tee Red, Evangeline the Oyster Girl, Rita Alexander the Champagne Girl and Blaze Starr were some of the headliners who entertained the locals drew thousands of tourists to New Orleans. 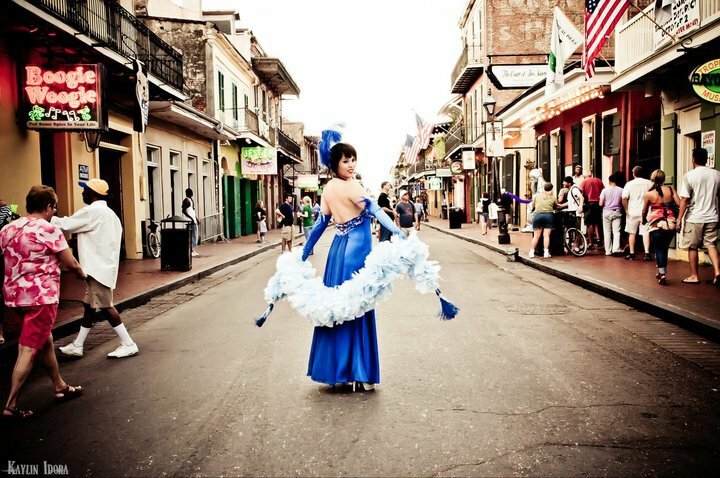 Though today's French Quarter is far from the theater-lined streets it used to be, The New Orleans Burlesque Festival tributes the 'good ol' days' of burlesque by celebrating the art form as it was. It has been a supreme honor to have served as the Queen of Burlesque. I am grateful for all the opportunities I received throughout the year. I've had such exhilarating, glittery fun and made some life long friendships. Even with my adventures far and wide, nothing can match the honor I feel knowing that I am playing a small but important role in preserving burlesque history in New Orleans and the world which I call my vocation with a capitol V.
I have so many people who offer support and brighten my life as friends and colleagues, many of them impacting me in ways they may never know. I bow down before all the legends who paved the way for our generation - thank you for inspiring us, making us laugh and showing us how it's done. Special thanks to Tami True, Shannon Doah, Wild Cherry, Tiffany Carter and Kitty West for playing extra special roles in my stripper journey. Thank you to the two previous Queens, Coco Lectric and Perle Noire. Their infectious energy onstage is so inspiring. Rick Delaup's dedication and passion for burlesque has influenced me greatly; each year he put's on a world class burlesque festival in addition to the outstanding Bustout Shows which have now become my second home. My Texas girls in the Ruby Revue, especially my bubble bath buddy Angi B Lovely and costumer Black Mariah brighten up my daily grind and my business partner Missy Lisa, girl I don't know what I would do with out you - I love your guts. Michelle L'amour has been an amazing teacher and friend, taking a chance on me when I was greener than green. Thank you for helping this dancer become a stripper - I know it's a process. And many of you know him for his cooking, but Chris Churchman could write the book on how to be the perfect burlesque spouse, I love you baby! As I step down from my role as queen I am filled with joy to enter a new phase in my career as the new Evangeline the Oyster Girl. Kitty West is a legendary performer; I am deeply humbled to carry on her tradition as I have some enormous shoes to fill. I am eager to share the things I learned from Miss Kitty with a new generation of burlesque aficionados in hopes that I can do my part to preserve our history and preach the glittery gospel of burlesque! To the new title holder I wish you nothing but the best as the Queen of Burlesque. Enjoy your year by playing hard and working harder. I look forward to seeing how you grow and develop as an artist throughout your reign. I will always be available to you should you need advice, a drinking buddy or an objective opinion. Here's to you my dear, yet to be determined, but destiny already put in motion.